Mt. Harding Glacier, in eyesight as you leave the Skagway Small Boat Harbor, was named after the 29th President of the United States. President Warren G. Harding the last inductee into the Arctic Brotherhood died August 2nd, 1923 less than one month after his address in the Pullen House located in downtown Skagway. Q: How many people can I bring along? A: Fat Salmon Charters never takes more than 6 people on a charter to guarantee a higher percentage of fish caught per person. Exclusive charters are available for your private parties, see Rates and Reservations for additional information. A: No fishing experience is necessary. Whether you are a seasoned angler or a beginner, Captain Joe will provide you with the gear and tackle you need to get that FAT Salmon on your line and in the boat. Fat Salmon will take care of everything except for the excitement of catching a FAT King! A: Yes, you can bring beer and alcohol on the boat. Cold and hot alternate beverages, such as tea and coffee, will be provided. Sodas can be purchased on board. A: Skagway's best fishing spots are near the shorelines and in front of the boat harbor, which leads to less travel time and more fishing time. 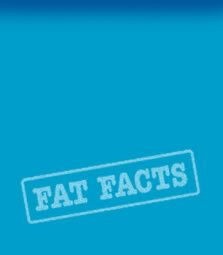 However, Fat Salmon will go wherever the fish are abundant at that time of the season. Q: Do I need to bring any equipment? A: Fat Salmon Charters provides everything you’ll need including the bait and tackle. The only equipment that you might want to bring is your camera to capture the gorgeous scenic and wildlife views. 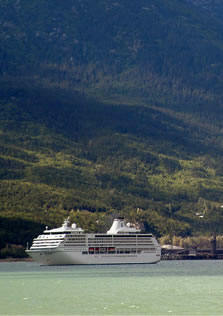 One of Skagway's finest glaciers can be seen as soon as we leave the boat's harbor! Go to the What and Where page for a list of things to bring. A: Remember, those under the age of 16 do not need to purchase a fishing license. Those under the age of 18 must be accompanied by an adult or guardian. Please call ahead for any other special needs or requests. A: For your convenience, Fat Salmon Charters sells all fishing licenses ($30 Cash Only) aboard the vessel so you can spend more time sightseeing in Skagway rather than hunting down your own. A: On Fat Salmon Charters, we are on the hunt for Dolly Vardens, Pink Salmon, Chum Salmon, Silver Salmon and especially the impressive FAT Chinook or King Salmon. Remember, Skagway is also home to a large population of the notorious Ivory King. A: Captain Joe will personally clean and package your prize fish right there at the boat's harbor. We can also arrange to ship it to a packing company outside of town where it will be delivered to your doorstep, prepared any style you choose (smoked, cold smoked, fillets, steaks, or jerky style)! A: The best time of year to catch a big, FAT Salmon is usually between mid May and mid September. However, salmon have been caught at all times of the year, depending on nature's conditions. A: If fishing was guaranteed it would be called "catching." Captain Joe will do everything in his power to get that fish on your line. The only guarantee with Fat Salmon is adventurous fun!